A thirst for adventure and riches leads you to explore the Seven Seas. With the LARP Privateer Sabre at your side, you heed the call of piracy. Raging tempests, sea beasts, and naval fleets will never dissuade your fearless soul. The single-edge blade and basket hilt capture the eye with finely hand painted detail. The silver and gold guard curves elegantly from the top of the blade to the pommel. A stunning wood grain pattern embellishes the hilt. Crafted from closed cell foam around a solid fiberglass core, this LARP weapon is finished with a strong latex coating. 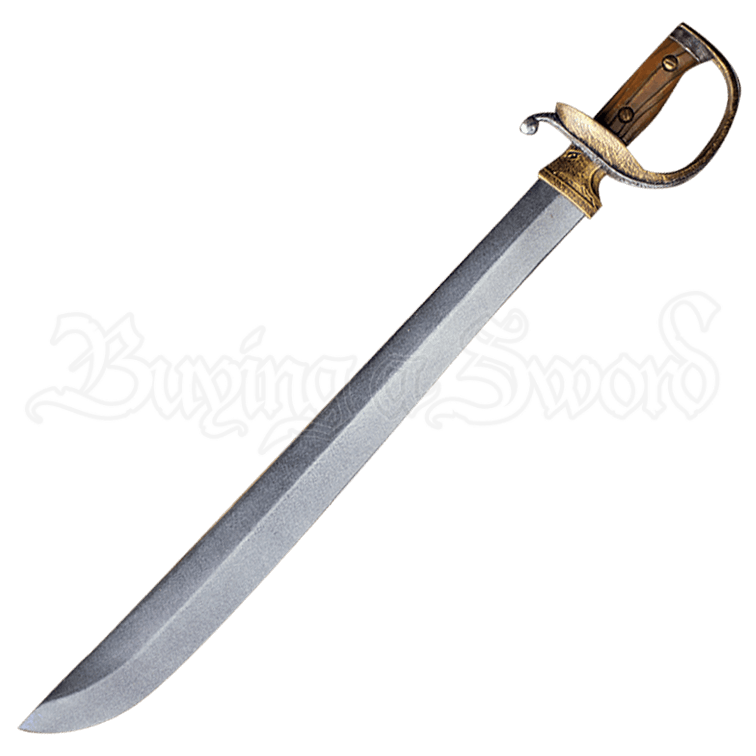 Whether the adventurous privateer or a bold buccaneer, you may bravely enter into LARP waters with this fantastic sword in hand. This latex-hybrid weapon is approximately 27.6 Inches in overall length. This measurement will vary as each LARP sword is a handmade item.